Trevor A. Dawes has been named May Morris Librarian and vice provost for libraries and museums at the University of Delaware. 9:21 a.m., March 31, 2016--Trevor A. Dawes of Washington University in St. Louis has been named May Morris Librarian and vice provost for libraries and museums at the University of Delaware, it was announced today by Provost Domenico Grasso. Dawes, who has been associate university librarian at Washington University since 2013, will take the position effective July 1. “Trevor A. Dawes brings a wealth of experience to the University of Delaware,” Grasso said. “He has a distinguished record of professional leadership, service and publication that makes him an excellent choice to shape the future of the University's libraries, museums and press  key assets that lie at the heart of our campus. "My special thanks go to Sandra Millard for her leadership as interim vice provost and to the search committee, chaired by Dean George Watson, for its work in this national search," Grasso added. Incoming UD President Dennis Assanis said, "Trevor Dawes has the vision, energy and drive to inspire learning, scholarly inquiry, cultural and artistic interactions and service in an environment dedicated to the open exchange of ideas and information. Under his direction, the University's libraries, museums and press will continue to meet the changing needs and interests of our students, our faculty and our community. I look forward to having him on our leadership team." Dawes will report to the provost and will work closely with administration, faculty and students to provide leadership and resources that enhance research, learning and service at the University. All of these efforts are aligned in response to the rapidly changing and information-driven academic environment and help promote the global visibility of University programs. He will oversee the University libraries, including the flagship Morris Library, as well as the University of Delaware Press and University Museums, which includes the Old College and Mechanical Hall art galleries and the Mineralogical Museum in Penny Hall. At Washington University, Dawes has provided leadership, direction and guidance for scholarly services, diversity and outreach, scholarly communication, and collections and acquisitions. Prior to joining the staff at Washington University, Dawes served as circulation services director of the Princeton University Library from 2004-13 and as head of the circulation and support services department of the Columbia University Libraries from 1999-2004. 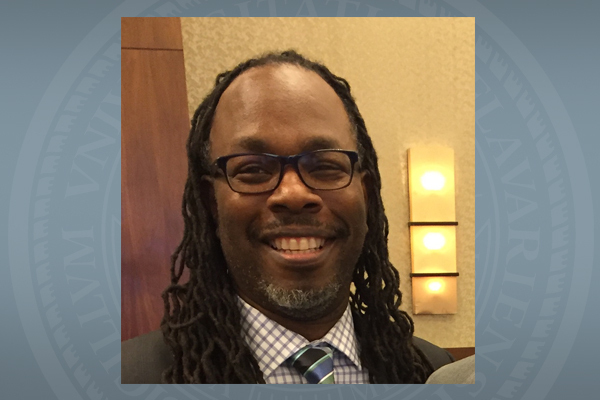 He also has served as an adjunct instructor in the College of Computing and Informatics at Drexel University. Dawes has written and presented extensively on libraries, and is active in library and information services professional organizations. A member of the American Library Association, he was elected a member of the ALA Council, serving through 2018. He is past president of the Association of College and Research Libraries. Dawes is a graduate of Columbia University, with a bachelor’s degree in sociology, and also has master’s degrees from both the Columbia University Teachers College, in educational administration and educational leadership, and Rutgers University, in library sciences. Dawes was selected following a national search. The search committee was chaired by George Watson, dean of the College of Arts and Sciences. Dawes will succeed Sandra Millard, who has been serving as interim vice provost and director of libraries since Sept. 1, 2015. She was named interim vice provost when Susan Brynteson stepped down after leading the University of Delaware Library for more than 35 years. Millard will return to her previous post as associate University librarian for services, outreach and assessment.